Synopsis- The renovations to 34 via del Duomo now complete, Marlena de Blasi, the bestselling international author and woman with the ‘fairytale life’, longs to find time and space to finish a book. 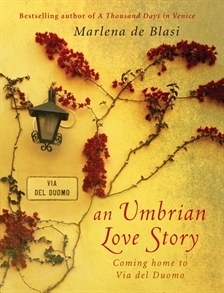 Lured by a friend’s offer of a simple stone cottage in a remote province of western Tuscany and distant from the distractions of everyday life in Orvieto, she sets off for a period of solitude. Enter Antonia. Imperious, tempestuous, Antonia is the still-stunning elderly matriarch of a complicated family of four generations of beautiful blue-eyed, high-bottomed, high-strung hellions, each with a story of her own. Mistrustful of tourists and outsiders, Antonia baits and clashes with Marlena, sets out to destroy her fragile peace and send her packing. Yet the two are drawn to one another. 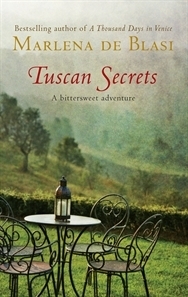 Walking together in the pre-dawn Tuscan light over the high meadows to forage for wild herbs, cooking and feasting with the family, an affinity grows between them, a sympathy which belies the differences in their ages, cultures, characters and histories and inspires Antonia to reveal her terrible secrets. Evocative, powerful, haunting, the narrative gives compelling insight into Tuscany’s recent past and an uncensored look into one extraordinary woman’s story. 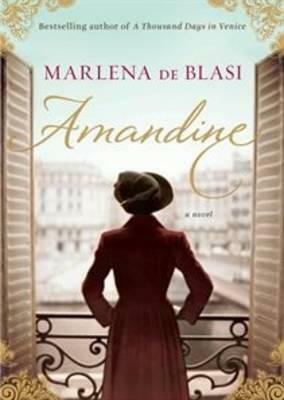 Review- I have read many of Marlena de Blasi’s non-fiction titles about her experiences of making Italy her home. Antonia and her Daughters is the fifth book in her travel memoir series, I haven’t read the fourth book but I don’t think it would really matter what order your read them in. All you really need to know is that Marlena moved to Italy (originally Venice) to marry a Venetian man who swept her off her feet. She is a chef and writer and this is very much reflected in her stories where her descriptions of food often make my tastebuds tingle. I suppose having read some of her earlier titles put me in the mindset of where Marlena was at in Antonia and her Daughters. Their home in Tuscany is now built, the renovations complete and now Marlena wants to work at making ‘writing’ a serious job. Unfortunately, she struggles to do this with husband Fernando willing to distract her at every whim. So, she takes the risk of moving into a lodge on her own to create a workable writing routine and honour her publishing contract by finishing another novel. There’s tension between Marlena and Fernando and I could honestly sympathise with both of them, their need to be together but also a desire to be separate and Marlena battles with keeping her own identity that she has strived to solidify since the years of her first (abusive) marriage. Marlena stumbles across Filippa in the woods and is invited along to dinner with her sister Luce and her mother Antonia. The dinner is filled with tension, suspicions and challenges as Marlena becomes the target of Antonia’s dispassion for ex-pats making Tuscany their home. Marlena allows Antonia to unleash her frustrations with grace despite the unease and self-consciousness bubbling underneath her strong exterior. I marvelled at her strength to remain contained and see past this older woman’s anger and into her pain. 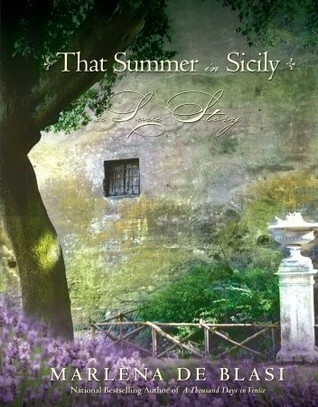 And so begins a turbulent but deep connection between the American woman and the matriarchal Tuscan woman. Irony plays a role in Antonia’s suspicions of Marlena who demanded to know what was so special about her that people would willingly share their stories for her to write and publish them. Unknowingly, Marlena becomes a solid platform for Antonia to share her life stories. The novel becomes hijacked by Antonia’s storytelling and from the second half of the book I was completely entranced as though I was sitting beside this old woman listening to the story myself. She reveals what pains her, her experience of the war, her relationships, the generations of women in her family and how she has risen above all the trauma to be a pillar of strength in their family. It was quite horrible reading about Antonia’s experience of the war and what the Germans did to her and her family but there’s also a strong sense of hope and resilience that Marlena beautifully portrays in a non-judgemental way. It’s an emotionally moving story that had me thinking about Antonia’s life long after I closed the book. 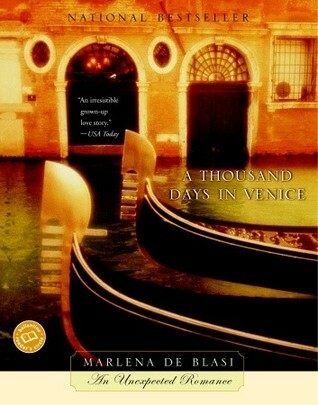 Another wonderfully written, narrative prose by a talented travel memoirist, Marlena de Blasi. I must buy this one. Thanks for the review.